Interlock the levers to create a MissingLink opener. Remove single to 12-speed MissingLinks with ease. 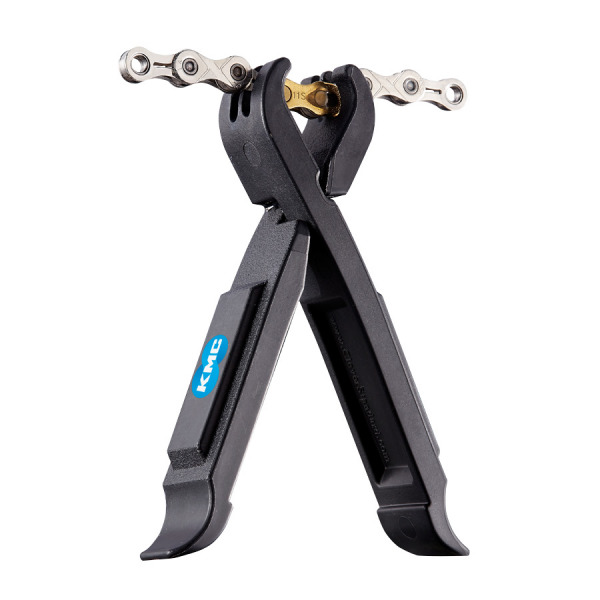 Accurate and comfortable design allows you to quickly insert the opener into the chain for MissingLink removal. Made using Swiss polymers specially formulated for the perfect balance of rigidity and flexibility. Semi-gloss finish helps prevent scratches on your bike. Separated, the MissingLink Opener becomes easy-to-use tire levers and a deflating tool.